It is the last leg of the road trip for James Braxton and Charles Hanson. 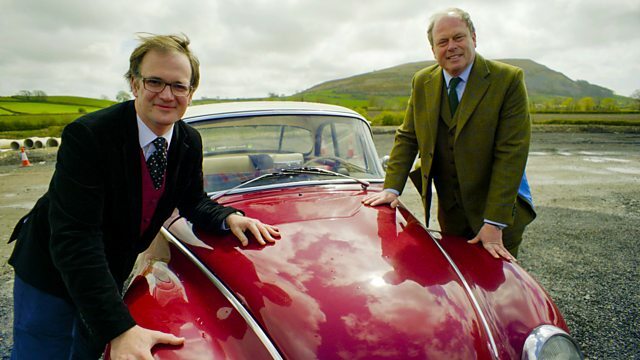 Starting in Scotland, they head south over the border to take their final auction in Berwick-upon-Tweed. It is the last leg of the road trip for James Braxton and Charles Hanson. Starting in Scotland, they head south over the border to take their final purchases to auction in Berwick-upon-Tweed. Charles dresses in full Highland regalia to hear how Sir Walter Scott reinvented tartan. Meanwhile, James discovers the story behind one of the most intriguing incidents of World War II. James believes silver antiques will give him victory, but Charles plumps for a little porcelain King Charles Spaniel. Who will be crowned king of this road trip?